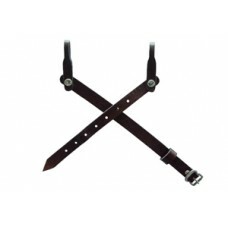 This 3 piece strap will help make your Cavalry, Campaign or Sheriff hat lock in place for a better fit. The straps are adjustable and designed to wrap around your existing hat strap or hat cord (acorns). Available in black or brown.